Is anyone else having problems like this one? The first 2 images are from the MP tour, the other is what it really looks like from my DSLR. 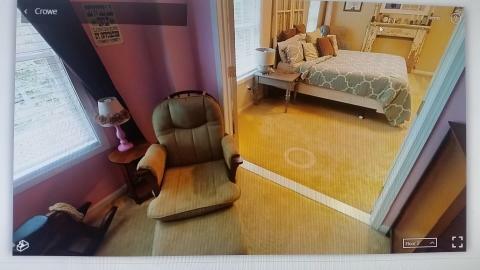 I even re-scanned the room, and re-uploaded it and the results were identical. Almost every room in the house looks similar. Wouldn't ya know, it happens to be on a first time customer with huge potential. Murphy's Law. The house is 153 scans,and it took MP 6 hours to process. Kinda curious if the first scan of a large white area such as a reflector would "trick" the Matterport into rendering the rest of the scans with a proper white balance. What is the lighting in the house? The room next to it is gray, and it also has the yellow on it. The bulbs are incandescent flood lights. 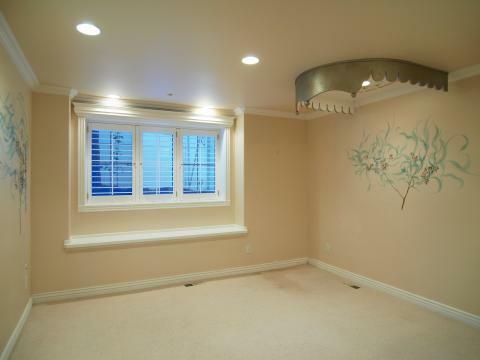 Here is a gray room. i think it's mixed source lighting. incandescents are going to go yellow if the system is correcting for the daylight visible in windows. the spottiness is probably reflection from light source like when outdoor foliage reflects and gives a green tint to ceilings sometimes. i get similar results like you have from time to time. compact fluorescents are bad in certain conditions and some LEDs are weird, but in general i like shooting LED-lit spaces. @HarlanHambright I think you're right about the mixed lighting. But, I'm seeing this in rooms with no outside lighting also. I was just looking at other peoples tours, and see that they have it at varying degrees too. I am having horrible problems with this exact issue. I have only had my camera a few weeks, but I have done 7 or 8 models, and the only way to avoid this is to scan with the lights off. Which is not possible sometimes. I am looking in to exchanging my camera. This is unacceptable. @KateKratochvil Have you also contacted MP? With enough pressure, maybe they will put more effort in resolving the problem. Thanks for reaching out with your concern. I'm sorry to hear your are having this issue. I've brought this to the attention of the engineering team. In certain lighting conditions, the processing engine does seem to be having difficulties and I hope this information will help them determine the problem and come up with a solution. @KateKratochvil did you try making a copy and process again, wondering because i am about to try it, but if its not an issue solver I will stop here. I agree with Harlan on the mixed lighting. I have not run into the yellow spotting like you guys have had though. I recently had a weird spot on a laundry room floor. When i went back to check I figured out that one of the three incandescent can lights had a halogen bulb in it...directly above where the spot was. Wonderdawg, I also have wondered about the white balance issue. I almost always start my scans outside and i wonder if that does something in the camera settings. I am usually 2-3 scans outside before i head inside. I was told by Matterport to "just send us an email at support and ask to reprocess for yellow." What I found when that was done was, the whole model looked completely de-saturated. Not a good look either. Matterport also sent me a new camera, but the color cast was exactly the same, so I sent it back. What I'm having to do is leave lights off, at least in rooms that have windows. 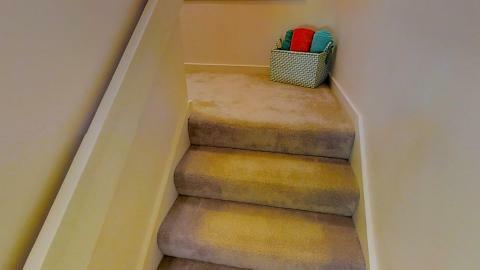 It looks good, until you reach a bathroom, hallway or laundry room, then it's mustard-city. Well guess i spoke to soon above about yellow spots. Scanned a property today. All incandescent lighting and there are yellow spots everywhere. The showcase is unusable as it is now. 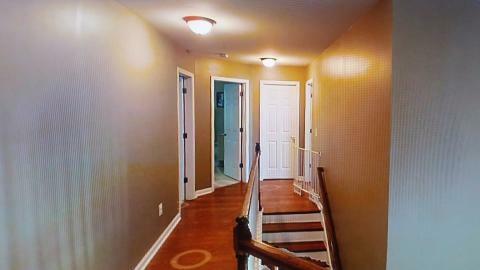 I have done several of these type condos with mixed lighting (incandescent/outside light) and never had a problem. Wondering if this is related to all the upgrades to the workshop platform. I guess i can re-shoot it but with out making any changes not sure what would be different. I have emailed Matterport so will wait to see what they say. 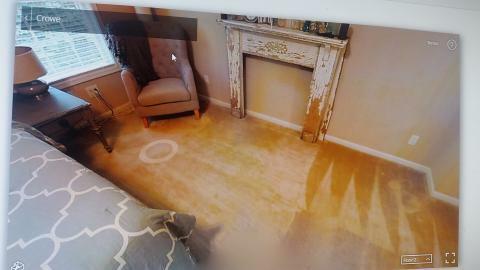 @THRHHI I had another scan that went yellow a week ago (it was really bad) and contacted Matterport about it. Their reply; "Thanks for reaching out with your concern. Unfortunately, this isn't something you can realistically avoid in most cases. The best way is to turn off all the interior lights since some will be too "warm" and they system will over saturate them. I'll reprocess this and send you the new one as soon as it's done processing. I'm very sorry for the inconvenience and appreciate your patience"
Since it was a Sunday, and they didn't respond to me till Monday, I re-shot the house with the lights off (at least where there was windows) and it was much better. But, I don't remember this being an issue before, so something in their process has had to of changed... hasn't it? The re-processed model they did was better than the original, but still had yellow spotting. 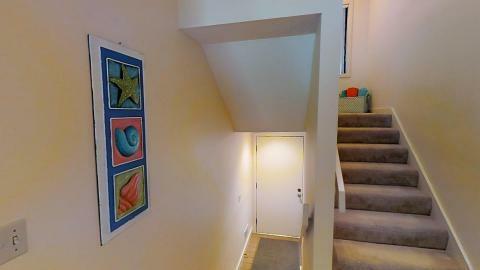 I have done my 3rd house "in the dark", and that can be very stressful. It's hard to tell which areas will be light enough to not come out grainy. The most recent one, I took along a lamp with a daylight bulb, which works 1. when the area is small enough to be lit by a single lamp 2. when the lamp doesn't look awkward and out of place. Bathrooms and closets are still bright yellow, the kitchen is dark and gloomy, and other dark areas are grainy. In case anyone wants to play "Where's Waldo" with the lamp..
Great idea @KateKratochvil! Waldo looks right at home. I have not had a complaint from hello splotches and personally I prefer mixed light source anomalies over dark, un-lit rooms. Replacing all bulbs with 5000k LEDs would do the trick, however. 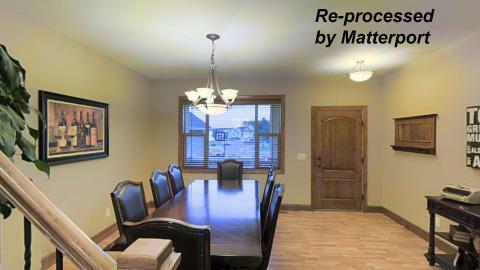 I can not fathom replacing all of the bulbs in a house, especially the typical size house that calls for a Matterport scan. I would have to have a huge collection of bulb sizes and shapes, and then reaching the heights, and then putting them all back afterwards..ughhhh...as the teens would say, I can't even. I not sure about the mixed lighting cause. After looking further at the scan I have a hallway and a bath that have no external light i.e. windows illuminating them. The bath has two lights and a perfect pattern of yellow blotches, 3 across and 3 up and down on all 3 Walls. Going to run a bunch of 2 scan tests trying several different things. Scanning with the lights off is not an acceptable solution for this technology. 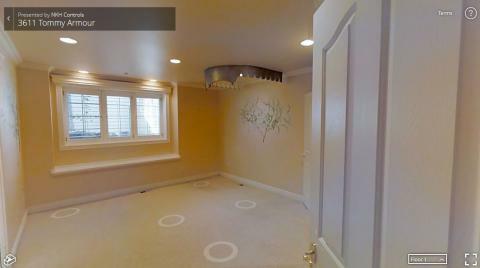 It looks like Matterport de-saturates the whole thing, so it ends up looking washed out, yet still discolored. 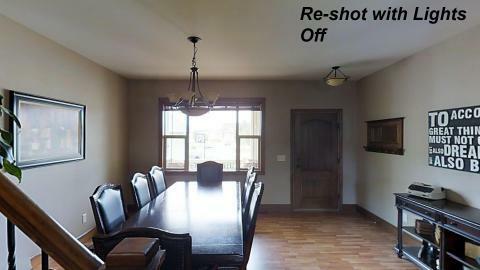 The lights off image doesn't look good either, but I would think most agents and homeowners would rather a room not look yellow, unless it is actually yellow. 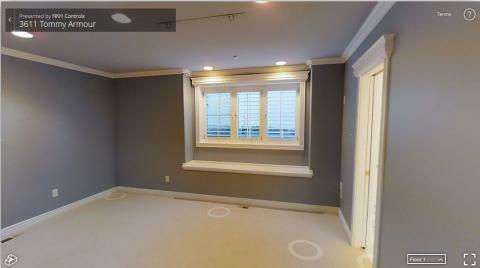 I wonder if Matterport can reprocess for brightness, when scanning without lights? Well i did multiple 2 scan tests today using the bathroom as the test area. No windows and no mixed light. 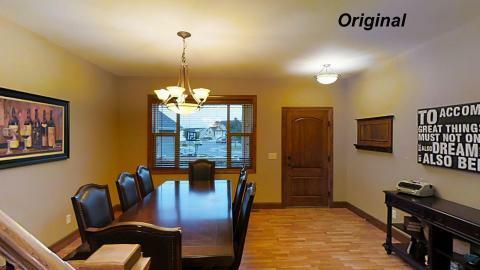 Did a base scan with existing bulbs, a scan with "daylight" 60 watt incandescent , 75 watt halogen, 800 lum LED (3500K). Sorry Harlan was not able to get my hands on some 5000K leds. Exact same tripod location and height for all scans. End Result. They all look the same. 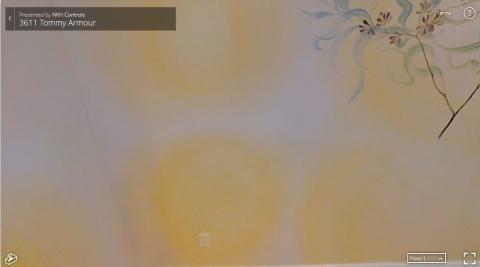 Big, distinct yellow blotches all over the walls. So much for the theory that the camera is compensating for natural light and electric light. Was also disappointed that i got no response from Matterport support regarding the issue. However i suspect they would just tell me what they have told others, it is what it is, just shoot in the dark. That response, in my opinion, is not acceptable. I now have a model that is unusable for my client and no way to fix the problem. I guess i could put a note on the showcase telling the viewer to just close their eyes visualize the walls and carpet without big yellow blotches. Fact is mattertags, matterlinks, matterwidgets, matterpoke are all useless without an acceptable model to attach them to. My guess is that if they scanned Ashton Kutcher's house and Bob Sulentic's house(CEO of CBRE)and there were big yellow blotches Matterport would not be telling then to just reshoot the houses in the dark. I guess i could ask them what they think of the yellow blotches. I am SO glad someone is as upset about this as I am!!! I've also been extremely annoyed and mad at this problem. No wonder matterport has any will to fix this problem.